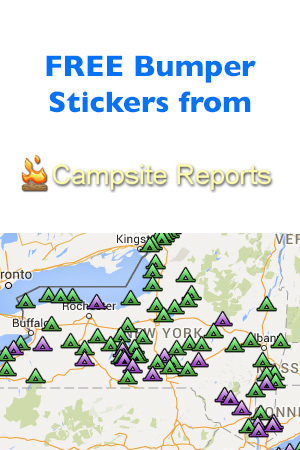 If you’re a happy camper, or really just any kind of camper, you may already know about CampsiteReports.com! They’re giving away bumper stickers to help spread the word about their website. Click the “Snag This” link now and fill out the simple form to request your choice! If you’re going camping, check out Amazon for great deals on gear.